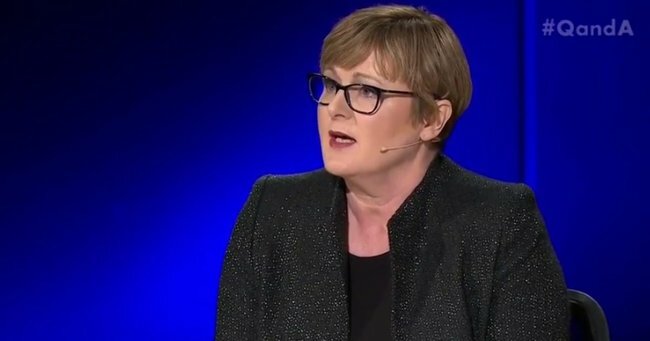 Linda Reynolds makes 'disgusting' comments about Christchurch on Q&A. Days after Christchurch, Senator Linda Reynolds has made a number of tone-deaf comments on Q&A. Since the terrorist attack in Christchurch that saw 50 innocent people murdered, a handful of Australian politicians have attracted significant attention for their insensitive comments. First, there was Fraser Anning’s statement in response to the attacks, which said the “real cause of bloodshed on New Zealand streets today is the immigration program which allowed Muslim fanatics to migrate to New Zealand in the first place”. Then, Pauline Hanson appeared on Sunrise, saying it’s important we ask questions like, “Why do we have terrorist attacks in this country? Why is it happening around the world?” after referencing Sydney’s Lindt Cafe siege, where an Iranian-born gunman held 18 people hostage. Side note: take a minute to listen to The Quicky’s episode in response to the Christchurch terror attack. Adding fuel to the fire, on Monday night’s episode of Q&A, Liberal Senator Linda Reynolds appeared to link terrorism with refugees seeking medical treatment in Australia. The Minister for Emergency Management and North Queensland Recovery urged fellow politicians on the ABC panel show not to politicise the terror in Christchurch, and then she revealed the issue was “very personal” to her. “I was one of the few who has lived through terrorism and the impact up in the Bali bombings, I was up there, I saw, I smelt… and I got to understand the what was happening,” she told the Q&A audience in Townsville. Senator Reynolds appeared to try and defend her comments saying she was “highlighting that the policy would inevitably lead to the boat trade coming again”. Viewers responded with anger, not only because of her links between terrorism and refugees, but also because of her blatant contradiction. She went on to politicise terrorism, immediately after telling the panel not to. Also brought up on Monday night’s episode were claims Prime Minister Scott Morrison previously suggested the Liberal Party capitalise on anti-Muslim sentiment in Australia. It’s something Waleed Aly mentioned on The Project in his response to the Christchurch attacks. Apparently Mr Morrison is threatening to sue Aly and Channel 10 for defamation as a result.